It is already the second month of the tour I am taking part in – Summer #Romantic Idea Author Exchange. It gave me the opportunity to meet new authors from around the world and also renew connection with authors I’ve already met along the time. Yesterday, I visited Katherine Bone’s blog. You won’t imagine whom I met. 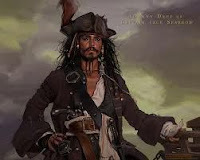 . .
Raise your rum in salute and help me welcome aboard Author Carmen Stefanescu! Saunters forward. Waves hand with finesse. Jack: We’ve been eagerly awaitin’ you on deck, Lady Carmen. It’s been a very busy summer aboard ship and we’re quite content to sit back and learn more about the wonderful authors who’ve made Lady Katherine’s acquaintance. And so, let us begin, eh? Everyone was born with a particular headin’. What does your compass point to, eh? Carmen: To somewhere to the East. Precisely, East Europe, Romania. Carmen: I am sure you heard about my compatriot Dracula. Jack: Swallows thickly. Dracula? Ventures close to examine Lady Carmen’s teeth. Carmen: I am a native of his country, so beware! Jack: Jaw drops. Not until you promise not to bite me. Lifts rum bottle and takes a swig. Pirates ARR many things, but we don’t drink blood, luv. Raises said rum and allows Carmen to examine the label. Don’t have a taste for it, ye see. We like to pillage, plunder, and pilfer our weaselly guts out. But first, we need pieces of eight in our pockets. Significant treasure, to be sure. If you could have eight pieces with ye at all times, includin’ a cross, what would they be, eh? Jack: Eyes pop. A cross? Garlic? Blimey! Lady Mae, always glad t'see you 'ere! You have now lived the dream, Carmen-- a conversation with Capt. Jack. Love it! Aye, Lady Flossie. And quite a chat it was. Much obliged, Lady Katherine to ye and Cap'n Sparrow for the lovely visit ye offered me!